On Sunday morning in Pinecrest, residents who may crave warm bakery food have two popular bakeries to choose from, Pinecrest or Vicky’s Bakery. Both bakeries offer a variety of cuban foods, and many question which is better. Pinecrest Bakery, located on South Dixie Highway, is the heart of the various locations. Many people were very excited when Pinecrest Bakery first opened in December 2012. Before Pinecrest Bakery opened, many did not really know where to get their “cuban fix.” When it opened, not only did it allow people to get a good cup of Cuban coffee, but it also gave people the opportunity to try foods that were new to them. For awhile, Pinecrest Bakery was the only well known bakery in town, until Vicky’s Bakery. Just like Pinecrest Bakery, Vicky’s Bakery gave the people of Pinecrest another source of cuban food. Many people knew about Vicky’s Bakery before it came to Pinecrest, because it was already being a well known bakery. Both Pinecrest Bakery and Vicky’s Bakery have an abundance of foods to choose from, which makes it difficult to get one thing. When Vicky’s Bakery first opened in Pinecrest, it was not open for 24 hours. 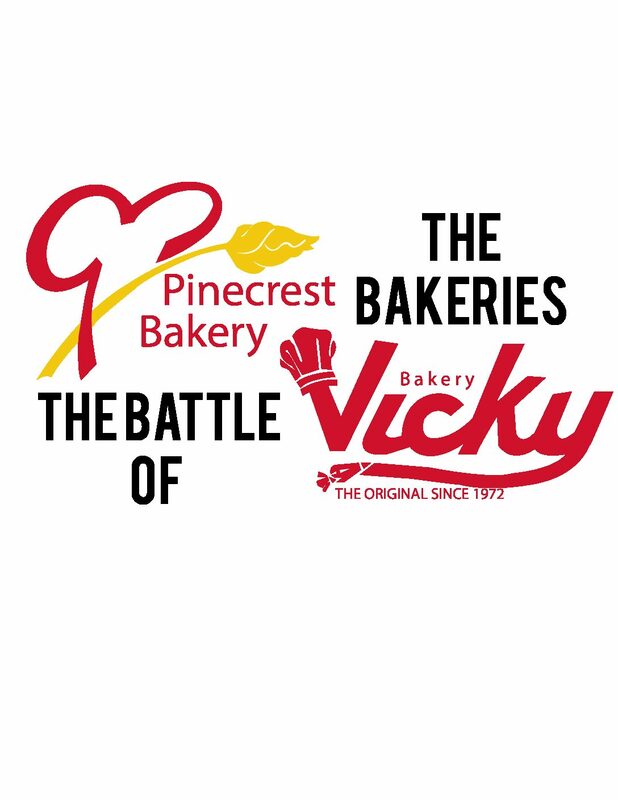 Unlike Vicky’s Bakery, Pinecrest Bakery is open 24/7, which allows people to satisfy their cravings for bakery food at any time of the night. Now, both places remain open for 24 hours a day, so no matter where one may live in Pinecrest, they can go to the bakeries at any time of the night. Pinecrest Bakery sits in a more visible spot for people to see when they are about to catch the Palmetto Expressway, but it also offers seats for people to sit unlike Vicky’s bakery. Although both bakery’s are in different places, Pinecrest Bakery is the original bakery located in the Pinecrest neighborhood. Pinecrest Bakery locations stretch all the way to the Florida Keys. As Pinecrest Bakery franchises increase, the people of Pinecrest are lucky enough to have one of the original ones close to them. As well as being the original bakery, Pinecrest Bakery is also bigger than Vicky’s bakery, which makes it easier for customers to browse around the store to see the variety of cakes and pastries they have on display. Having room to not be on top of the person standing right next to waiting line and having a place to sit, relax and enjoy your meal makes it more enjoyable for customers. Both bakeries offer a variety of popular cuban foods, but Pinecrest Bakery is the heart of the cuban roots.